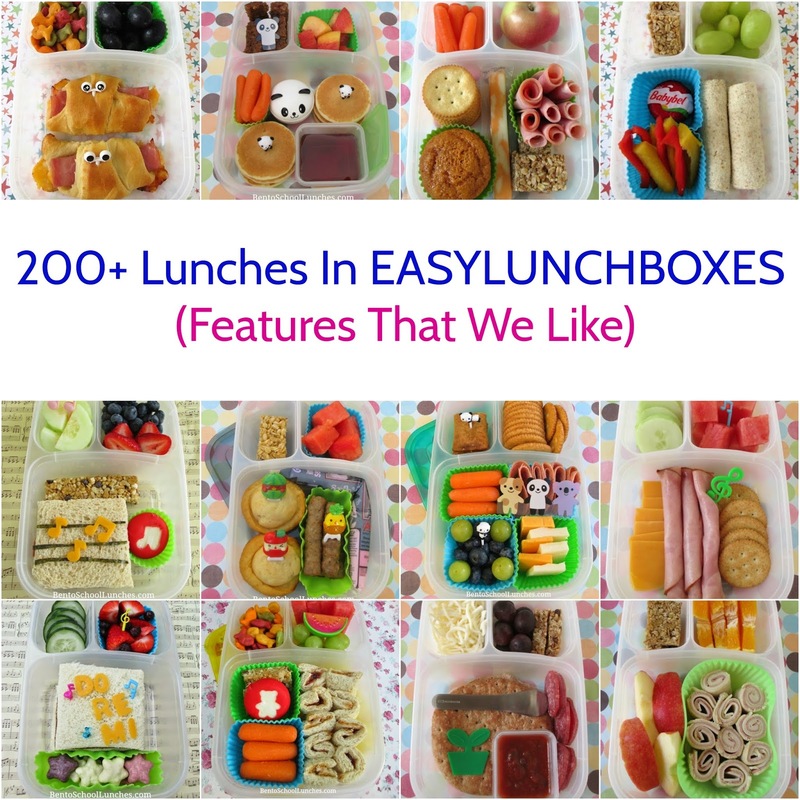 Easylunchboxes, the name says it all! Their user friendly design makes them a family favorite lunchbox. It's one that you will be happy to have when it is time to grab, pack and go. The Easylunchboxes containers provide three sections for food which makes packing lunches easy. The proportions of these sections is well thought out and, as you can see from the lunches I've packed in them, they seem perfect for a wide variety with enough capacity for a great meal. We own all three sets; the classic, brights and urban colors. In case you are wondering whether these are similar to those disposable ones sold in stores or imitations sold online, the answer is NO. 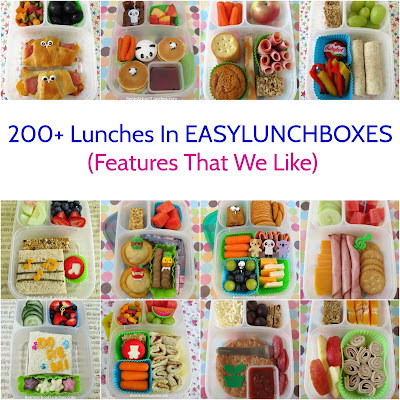 The Easylunchboxes sets are much higher quality, more durable and the lids are not flimsy. - The containers are microwave, freezer and dishwasher safe and they are made from BPA free, FDA approved, food-safe polypropylene plastic. - The lids come in fun colors. - Easy to open and close for small hands. - They are quite economical, a set of four for around $14. - The insulated lunch bag is great and I have even used it for carrying other boxes. You can view my gallery of lunches packed in Easylunchboxes by clicking HERE. Below is a collage that I made for those who might like to pin.